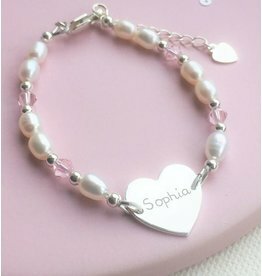 Does your little girl a special party, she celebrates her birthday if she does her first communion; they are wonderful moments for a special children's silver bracelet. A luxury children's jewel to its polsje adds something special to this special moment. Then the silver bracelet child a tangible reminder to check back later still and beautiful memories to pick. You can find the finest .925 silver baby bracelets for all these special moments in KAYA, made from the finest natural materials and extra strong. High quality for fine price and the most comprehensive collection of Netherlands! 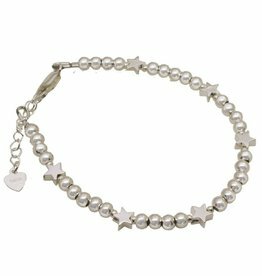 The prices of silver baby & children's bracelets are a lot cheaper than other jewelry brands with similar children's bracelets. This is because KAYA does not use expensive advertising, no studio rent and everything home designs and procures. 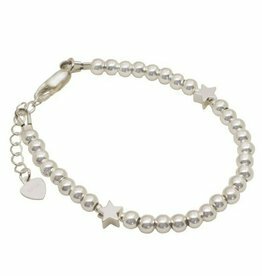 We use only the finest freshwater pearls, crystals and charms for our children's bracelets, all wrapped through-and-through silver and each piece is luxurious, equally ready to give! At KAYA Find Luxury children's bracelets, no plastic or wooden children's jewelery, but real children's jewelry made of the finest freshwater pearls, gemstones and crystals. All children's bracelets come in a luxurious silk sieradenbuideltje, equally ready to give. So you have a really quality piece of jewelry that lasts for years, after which it then a beautiful memory for later. The combinations ambandje children and charm is endless, too much to leave it all on the web shop to see. Would you prefer a different combination? Chat then with Tanja (bottom right) for the same response, or email us at info@kayasieraden.nl. We try Mails always reply within 24 hours. Beautiful personal bracelets with an Infinity symbol (set with zirconia) and an engraved initial. 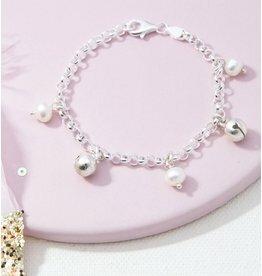 Gorgeous .925 silver bracelet with it a silver engraved charm and a genuine freshwater pearl. You can choose from more texts.